Dr. Richardson-Foote, our family dentist, and her staff want to provide the best care, using the latest in dental technology to you and your entire family. Whether the members of your family are young or old, we can provide them with the family dentistry care they need in a comfortable and relaxing environment. Porcelain Crowns | If you have had a tooth that has been damaged in the past, we can help repair that tooth with a durable and natural looking porcelain crown. Porcelain crowns are a great way to help restore both functionality and appearance. Tooth-Colored Fillings | Here at Foote Family Dental in Gonzales, LA, we only use beautiful tooth-colored fillings that are designed to match your natural teeth. Our state-of-the-art fillings are durable, safe, and mercury-free. 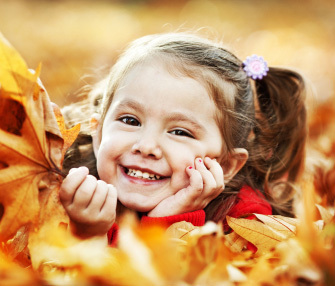 Sealants | Having a tooth sealed can help prevent tooth decay by sealing out harmful bacteria. If you have questions about sealants, please let our family dentist know. Teeth Cleanings | Regular tooth cleanings are one of the very best ways to help keep your teeth healthy and your smile happy. Regular tooth cleanings can greatly impact your oral health. It is recommended that you have a tooth cleaning every six months. Dental Hygiene Instruction | If you have questions about dental hygiene, your oral health, or feel like you have been doing something wrong, please feel free to ask us. We can help instruct you in proper dental hygiene so that you can have a lifetime of healthy smiles. Preventative | Regular cleanings, dental hygiene instruction, and sealants are all great ways to prevent tooth damage and decay and increase your oral health. TMJ | If you have had issues with your TMJ (temporomandibular joint) or have shown symptoms of having temporomandibular disorder (TMD), our skilled family dentistry staff can get you the assistance that you need. Gum Disease Treatment | If you or any of the members of your family have gum disease in any of its forms, we can help you get the treatment that you need. 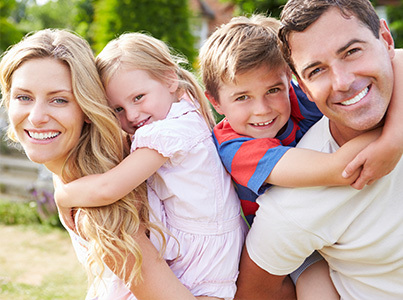 Have more questions about family dentistry for us? Please give us a call! Dr. Richardson-Foote and her team are here for families all over the Baton Rouge area, from Prairieville to Gonzales, LA!